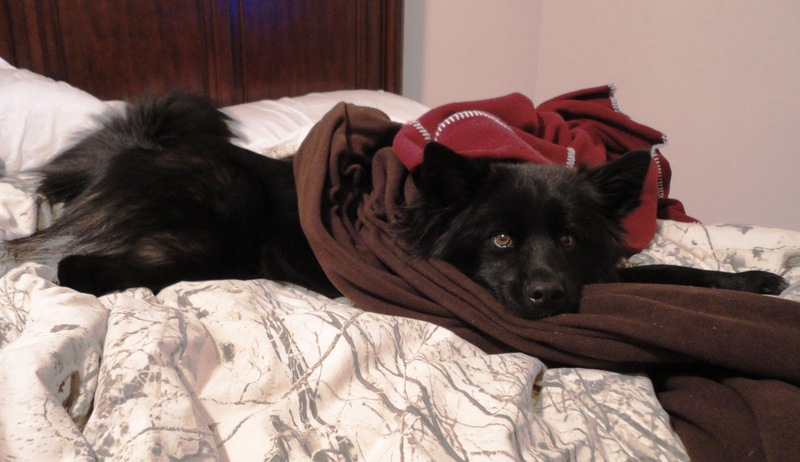 Note the two, count ’em, TWO fleece blankets that he’s wrapped himself in. It was a refrigerator in our house last night! I think that factor may have contributed to the Little Blogger (as my dad calls him) missing our morning walk! Oh, wait, he’s covered in hair. 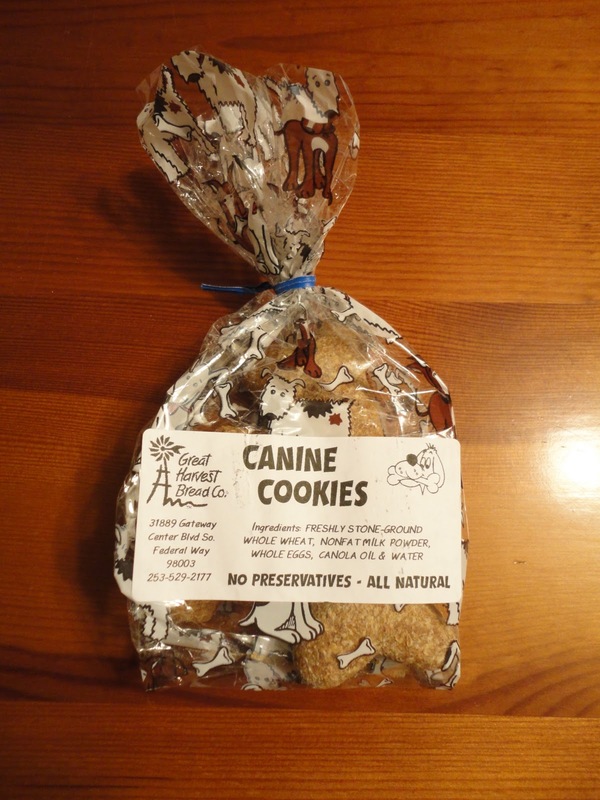 Our first review is…Canine Cookies from Great Harvest Bread Company! These adorable cookies come in a pack of four and run about $4, I think. Sorry – next time I’ll save the receipt! I bought them on my last trip to Great Harvest, when I only intended on buying a loaf of Cinnamon Swirl bread (yum!). 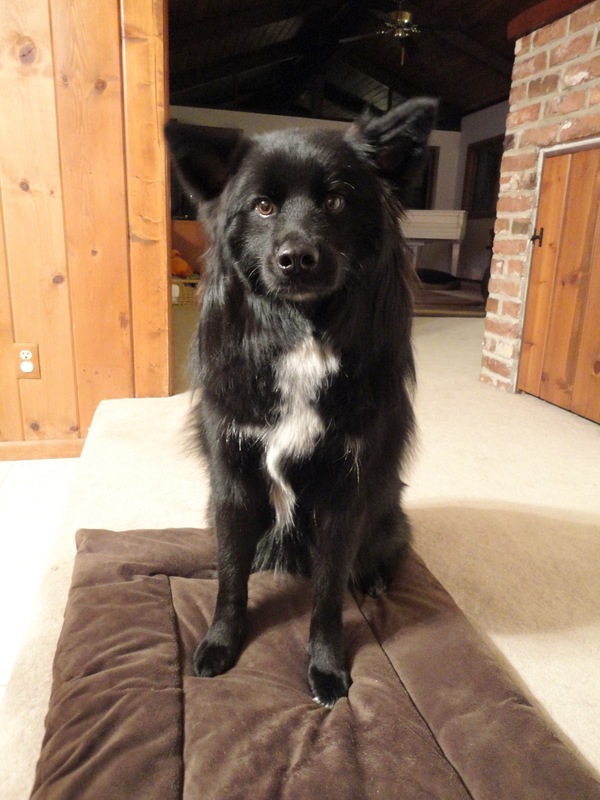 Of course, I caved when I saw the cute little doggie wrapping and convinced myself that Teton needed them. Take a closer look at these bad boys. They’re pretty big, in my opinion. You can see how thick they are from some of the close-ups. They measure almost five inches in length. 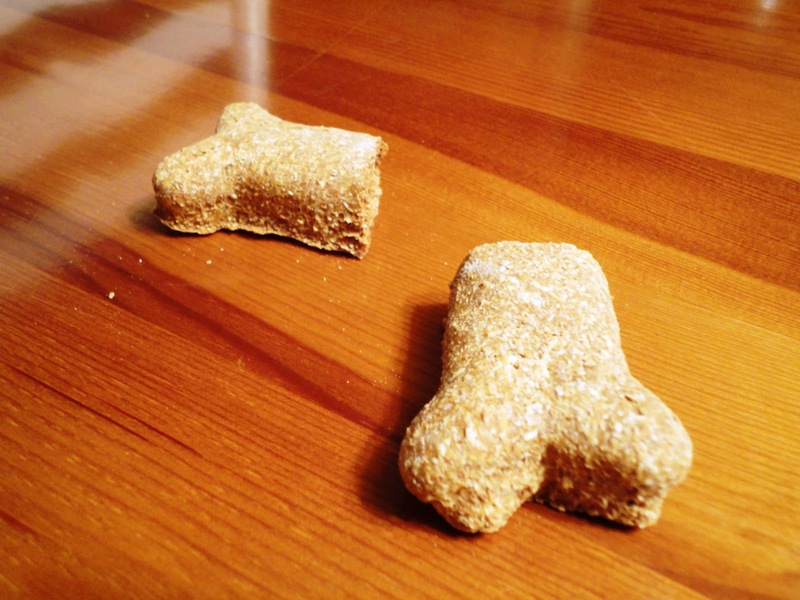 Because Teton is a fairly little dude (about 33 lbs) and we like to keep him slim, I prefer to break bones like these ones in half and only give him one half at a time. He doesn’t seem to mind. What he does mind, however, is when ﻿I take my sweet time snapping photos of his dog treats as he drools all over the floor. 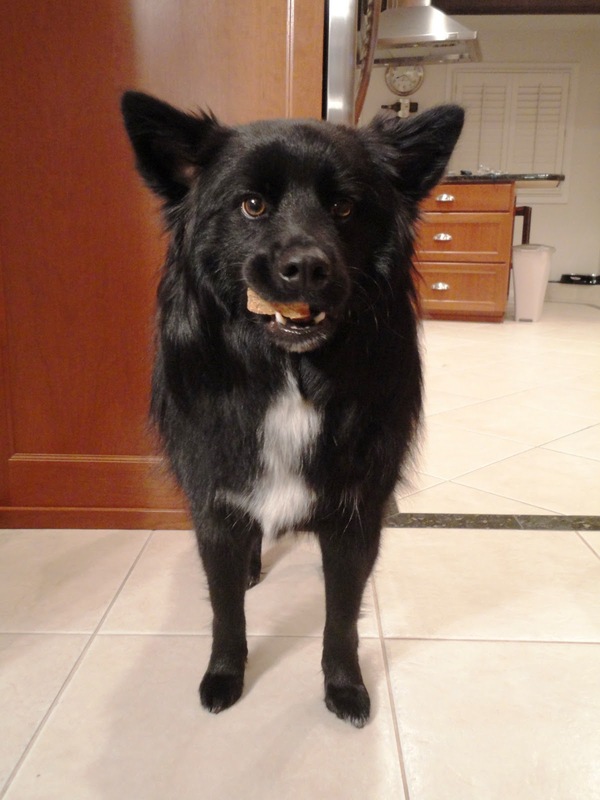 And he really minds when I have the audacity to tell him to hold a treat in his mouth while I take a picture of him. 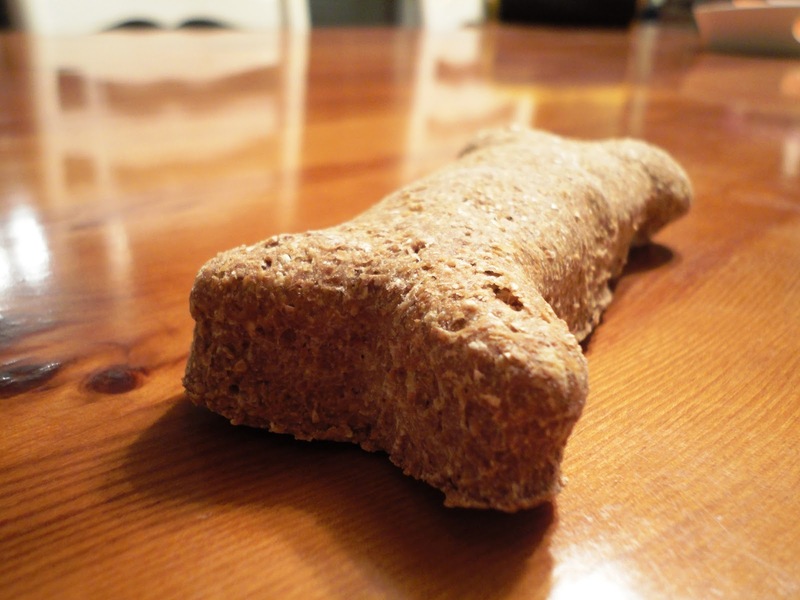 Anyhoo, it took Teton about five minutes to eat half of one Canine Cookie and let me tell you, he loved every one of those minutes. 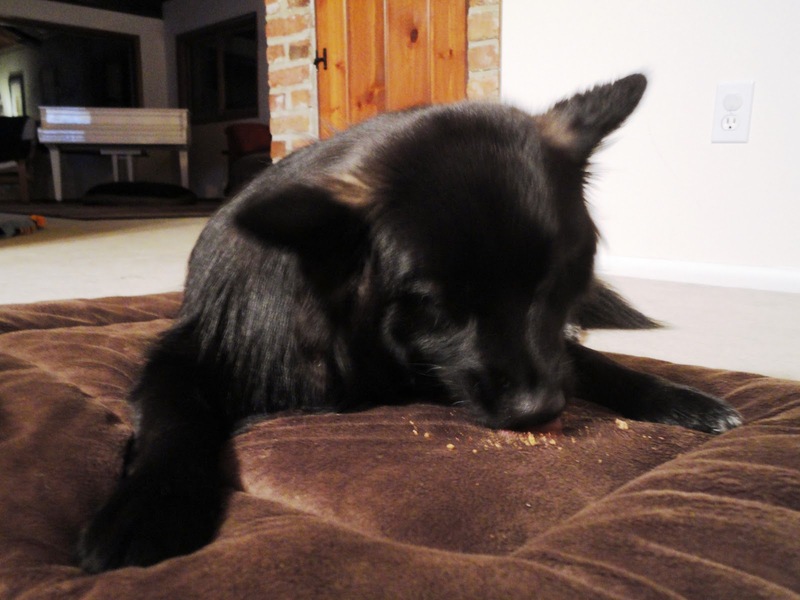 I obviously need to work on my photography skills, but just so you know we’re not faking it, here is a blurry shot of Mr. T. eating his treatsie. ﻿Teton’s pretty excited about this whole blogging thing. 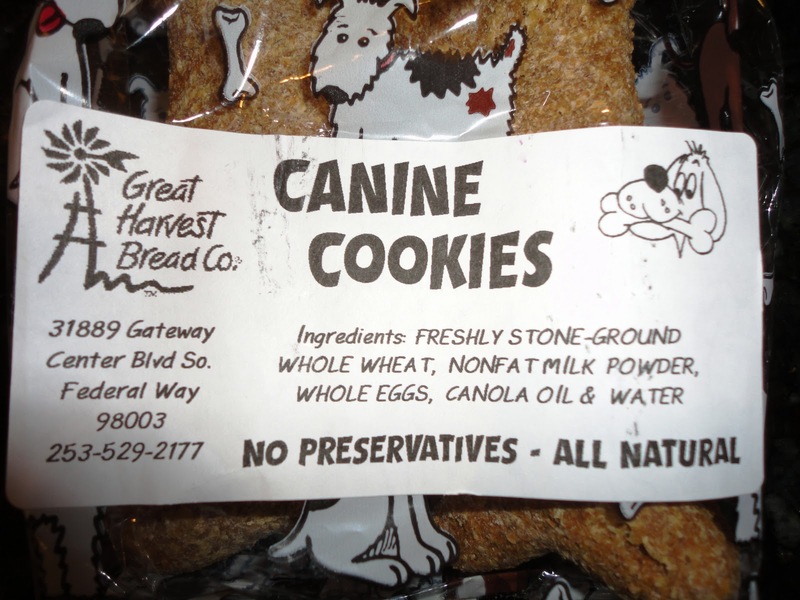 Teton and I give Canine Cookies from Great Harvest Bread Company a six out of 10. 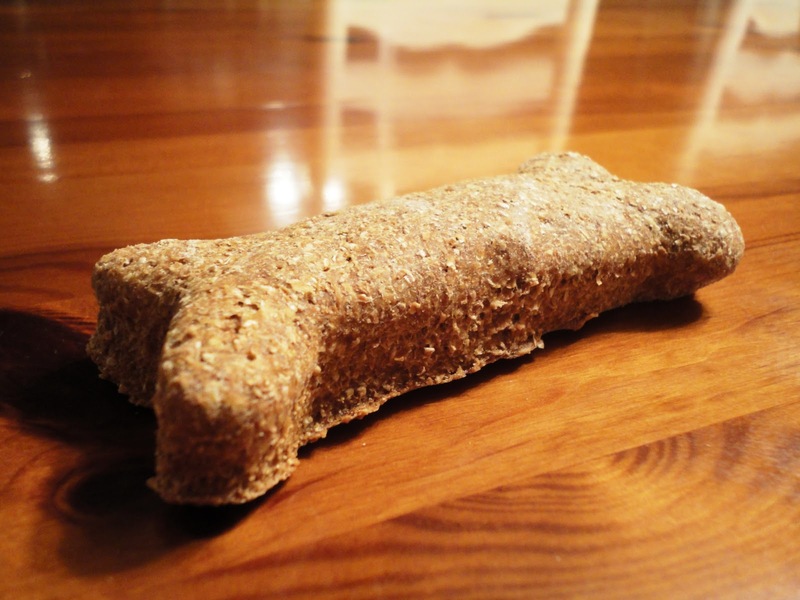 They’re definitely yummy and we like the short ingredient list, but at the end of the day, they’re a basic dog bone with not a lot of pizazz. 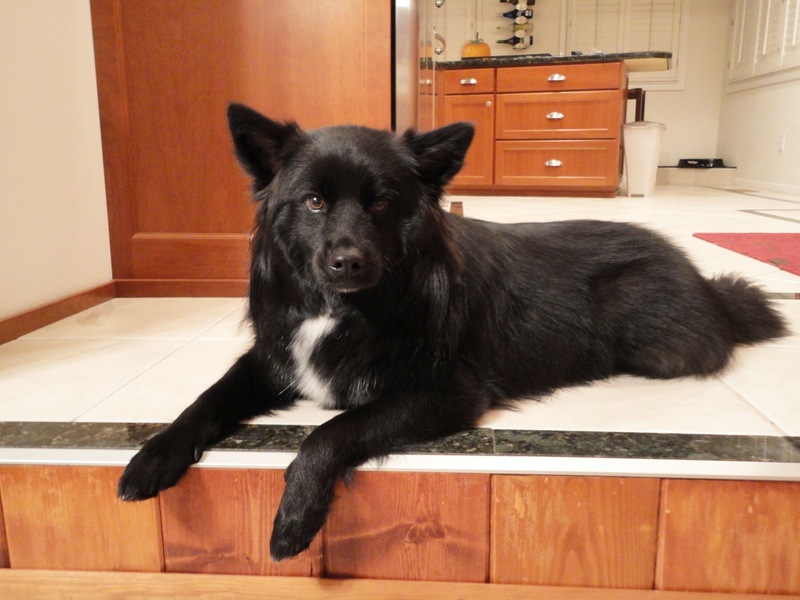 Posted on October 20, 2010 May 14, 2011 by Shannon	This entry was posted in This 'N' That. Bookmark the permalink.